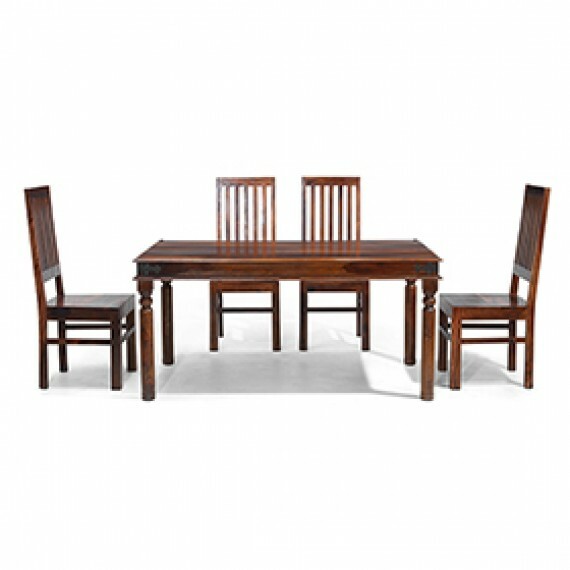 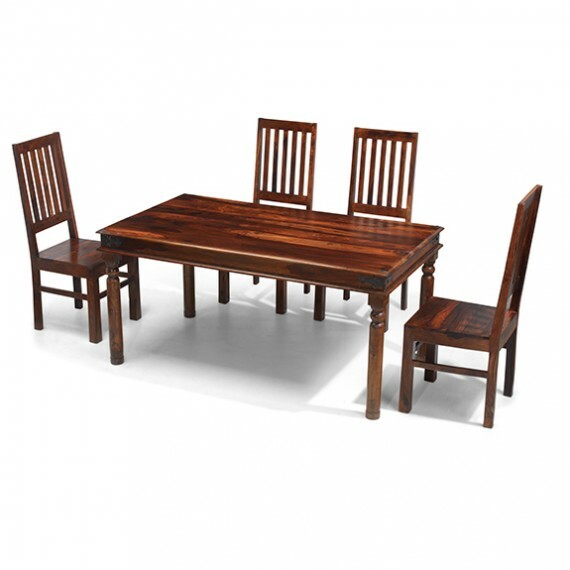 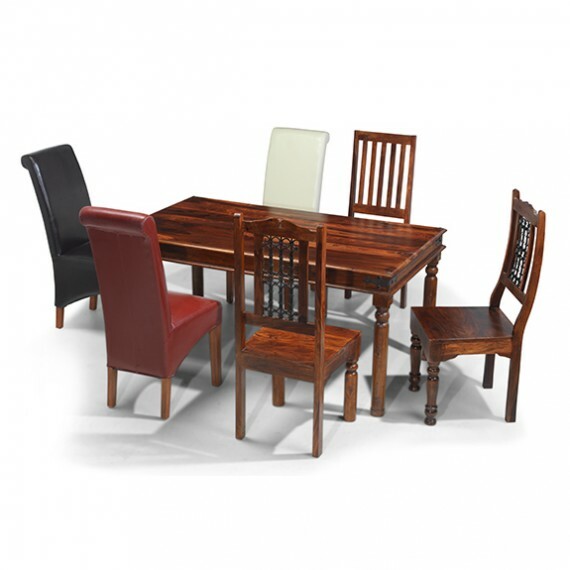 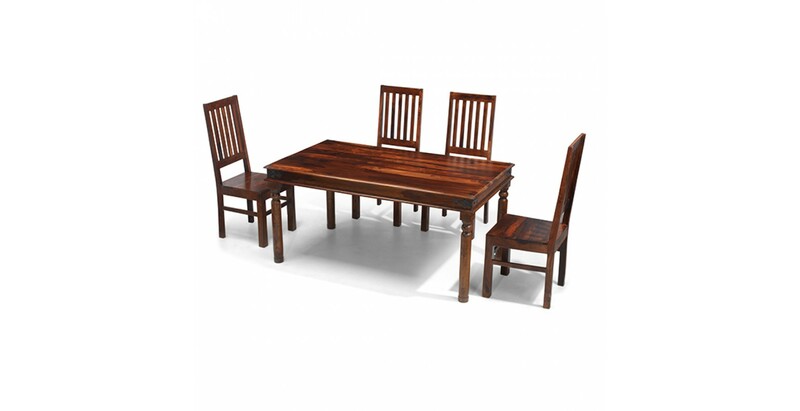 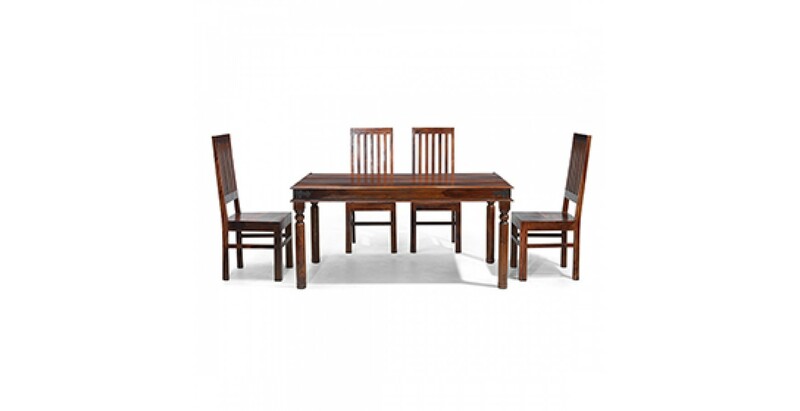 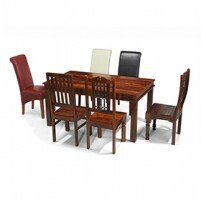 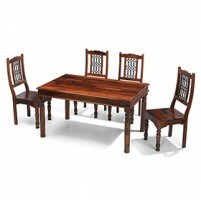 With its warm, natural dark-toned beauty and unique grain showcased through a Wax Lacquer Finish, the handmade table in this splendid colonial-influenced dining set will make a superb centrepiece in your family kitchen or dining room. 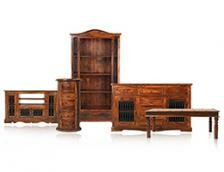 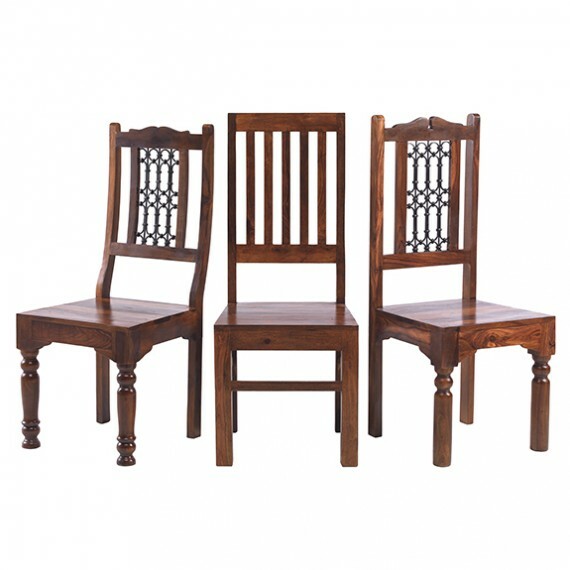 And even better, you get to choose which of our Jali Sheesham chairs will best go with it in your home. 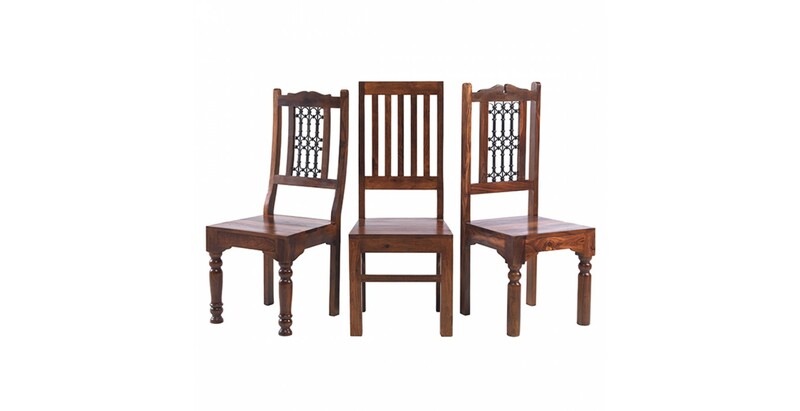 Neatly turned legs and iron studwork add visual interest and you can pick from our Jali High Back Slat, Jali High Back Ironwork or Jali Low Back Ironwork chairs to round it off in exotic style. 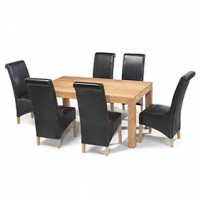 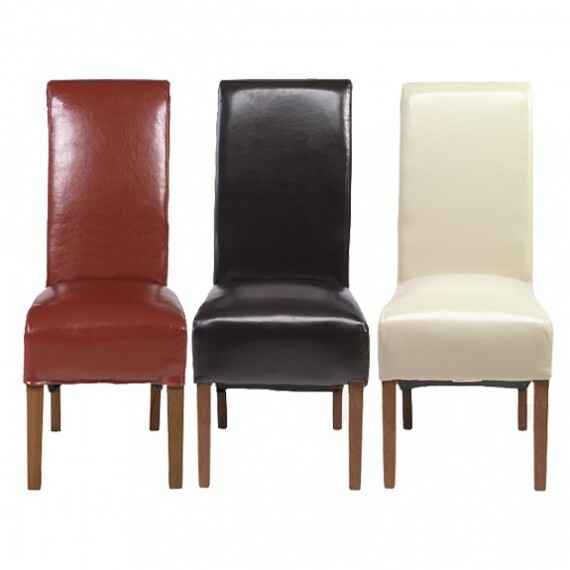 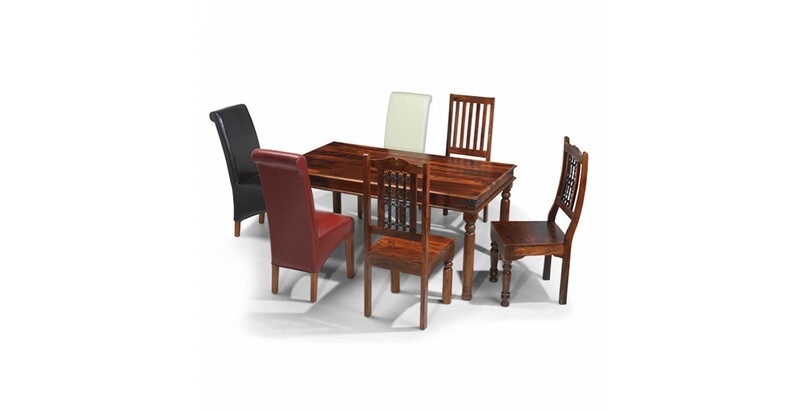 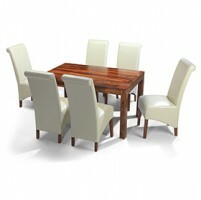 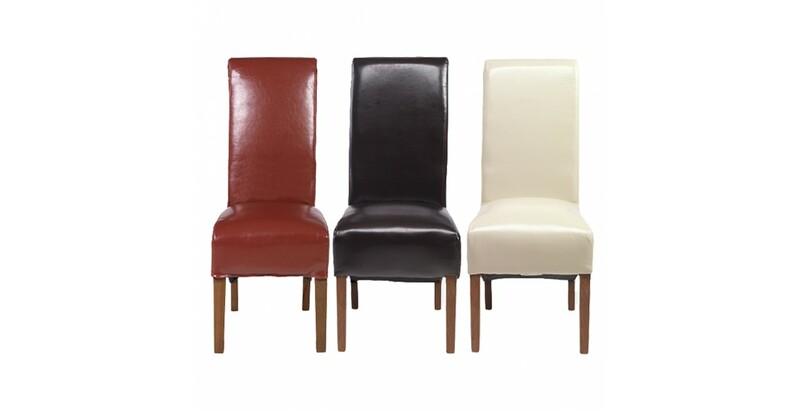 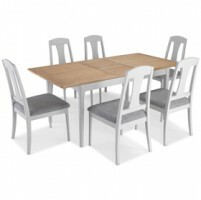 Or go for our supremely comfortable bonded leather chairs in brown, beige or red for a touch of modern style.